A C7 Corvette parked in front of the Bowling Green Manufacturing Plant. 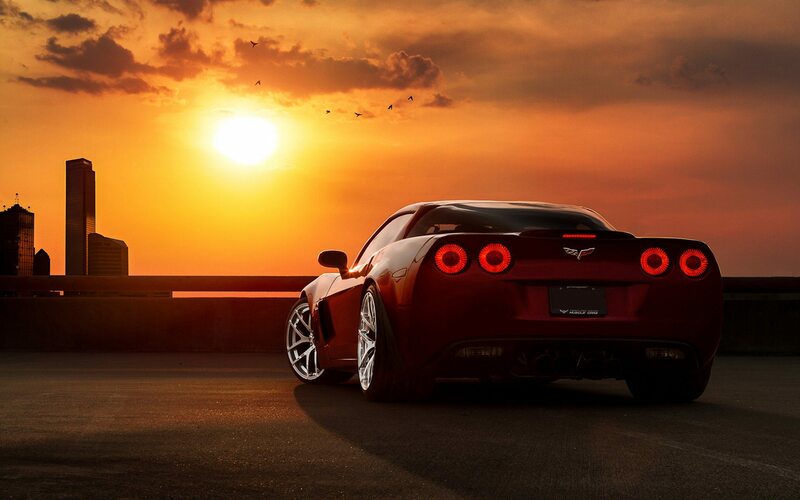 But What Does This Mean For The Current Corvette Model? 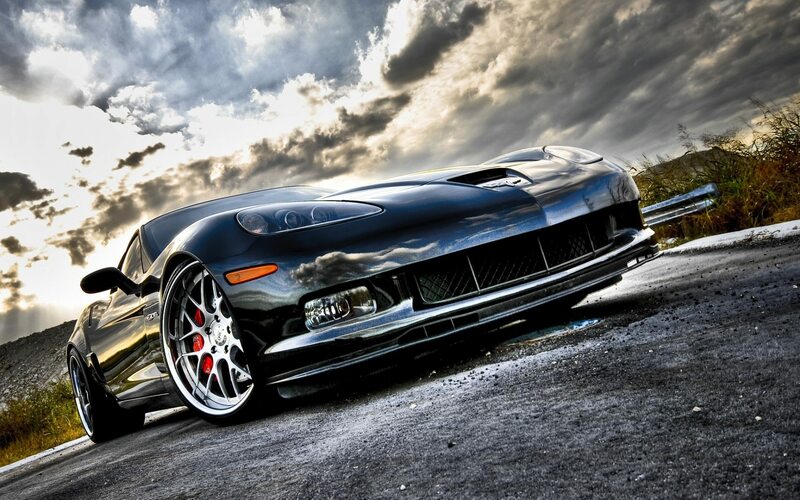 Over the last several months, there has been a lot of internet chatter about the future of the Chevrolet Corvette. 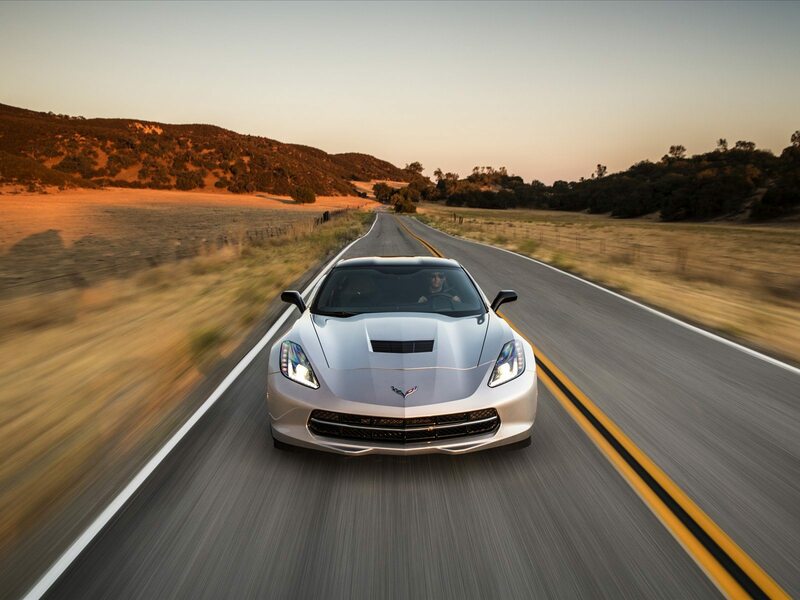 Theorists have suggested that the current production C7 Corvette was coming to end and that a new mid-engine C8 would be introduced. 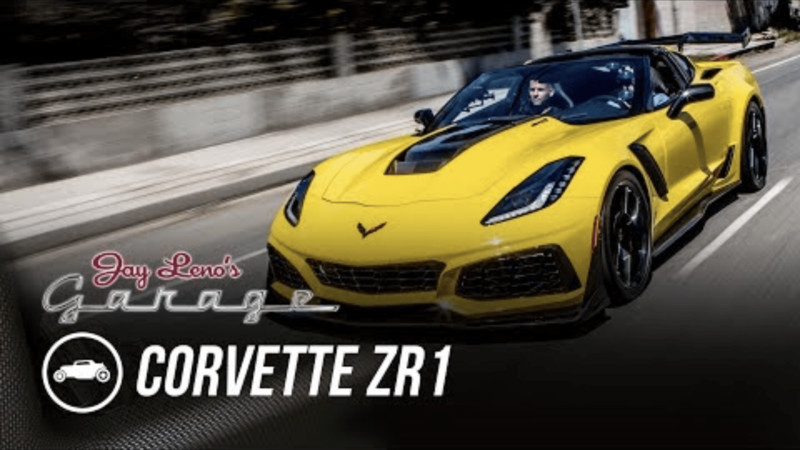 Other’s speculated that Chevrolet was developing a new ZR-1 edition Corvette that would replace the Z06 as the most powerful production ‘Vette ever. Then in mid-July, General Motors announced that the Bowling Green Assembly Plant would be shutting down for approximately 13 weeks, beginning on July 28, 2017, as the plant was re-worked in preparation of manufacturing 2018 models of the Chevy Corvette. The extended shutdown was scheduled for the installation of new manufacturing equipment, setting up a new car-build process for the 2018 Corvette, and for the completion of a nearly $500-million paint shop construction project that had first been announced in 2015. Plant Manager Kai Spande stated that the shutdown and re-working of the plant would take approximately three months and cost nearly $900 million dollars. As reported, the shutdown began at the end of July, which also meant the discontinuation of manufacturing of 2018 Corvettes. For the past three months, no new Corvettes had rolled off the Bowling Green assembly line, which led to increased speculation about the C7’s future. On October 18, 2017, General Motors announced that the Bowling Green Assembly Plant would be re-opening on November 6, 2017. 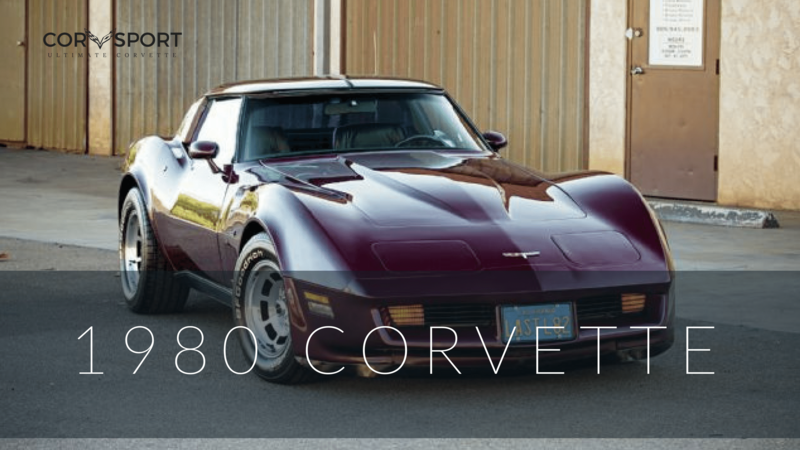 The news, which brings with it another round of intense speculation as to what comes next for the Corvette, was a welcome announcement both for enthusiasts of the iconic sports car as well as for the men and women of United Auto Works Local 2614. Many workers had already been called back to the plant prior to this announcement, and many more are being called back throughout October to begin training on the retooled assembly line. This employee recall process will continue until the plant re-opens in November. “The plant will resume operations next month. Employees will be returning to work throughout October and November based on training requirements as we prepare for production.” – Lauren Langille, a spokesperson for the Bowling Green and Spring Hill Assembly Plants. 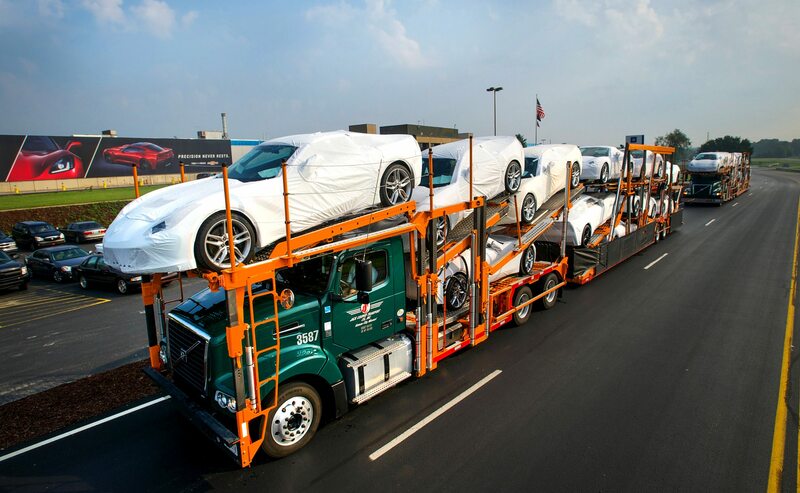 Brand new C7 Corvettes roll off the assembly line. WIth the re-design of the plant, paint application will now be one of the final steps in the Corvette’s assembly process. 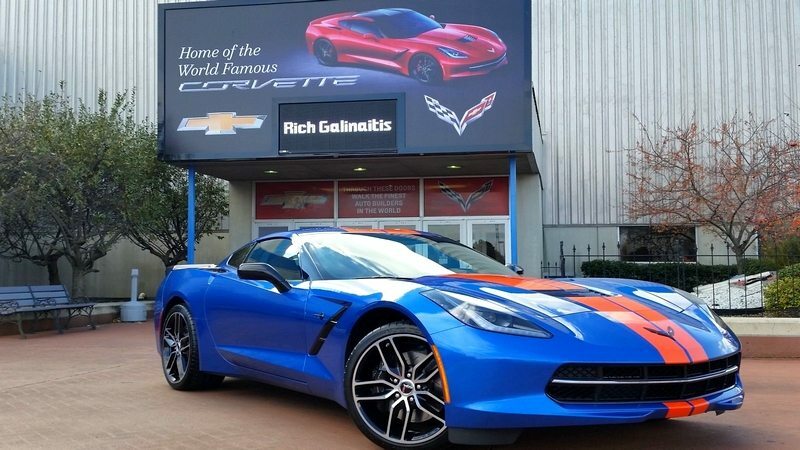 According to GM, one of the major reasons for the shutdown and re-working on the plant was to change the build process so that the Corvette’s freshly painted body panels would be added to the car as one of the last stops on the production line. 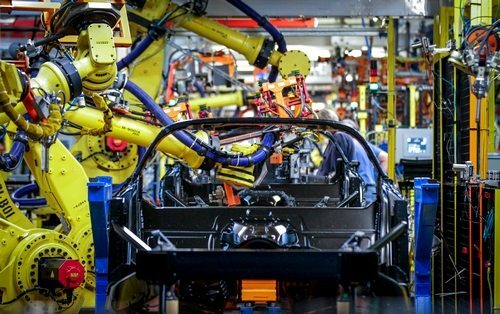 Although all plant workers will “officially” report back to work on November 6th, it has not yet been announced when manufacturing of the Corvette will continue. According to several dealerships that were polled regarding the continuation of Corvette production (and, more importantly, sales), all that were asked stated that the Target Production Week (TPW) for new orders was scheduled for November 20th. Chevrolet announces it will continue shipping 2018 Corvette models beginning in late November, 2017. GM made headlines last week when they announced that production of the 2018 Corvette would end much earlier than usual production runs, with the final cars being assembled the week of January 22nd. In a statement released through the National Corvette Museum, GM stated that planned production of the out-going 2018 Corvette would be approximately 9,700 units, which would make the model-year one of the smallest production runs in the Corvette’s sixty-five year history. Interestingly, production of the new model year will begin just one week later. Beginning on January 29, 2018, Chevrolet has officially announced that 2019 Corvette production will begin, but they also stressed that no major changes were being made to the design of the car. In fact, they indicated that all models, colors and options (except for the 2018 model’s Carbon 65 Edition) are being carried over from the 2018 model year. In an effort to facilitate sales of the 2019 Corvette (and to dispel the inevitable rumors that have already begun to circulate), Chevrolet will be releasing the new 2019 Corvette Order Guide on November 20th, 2017. So why the seemingly abrupt decision to halt 2018 Corvette production and revamp the entire manufacturing plant? If General Motors is to be believed, the reasoning is strictly centered around increased flexibility, streamlining the manufacturing process, and employee comfort/ergonomics. 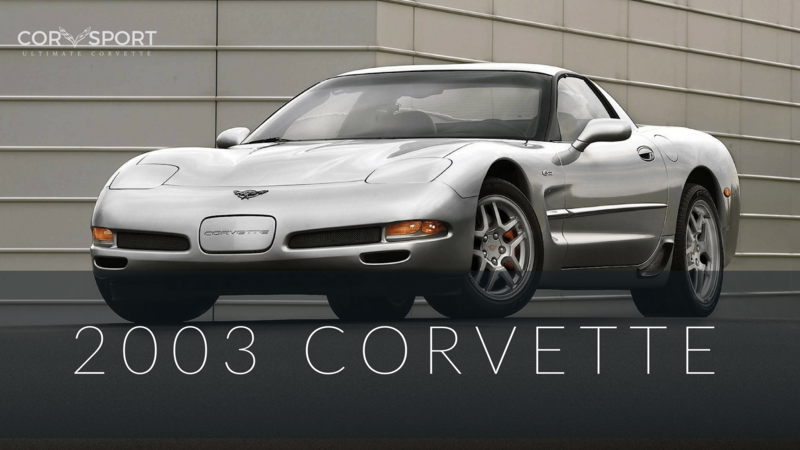 The previous assembly line dates back to the C5 Corvette era, meaning the plant hasn’t received an upgrade in twenty years. However, it is also important to note that the Bowling Green Assembly Plant suspended all plant tours over the summer, and those tours will not restart for at least another year. This fact alone strongly suggests that GM is concealing some of its more significant changes – many of which likely have to do with production of a mid-engine Corvette model. 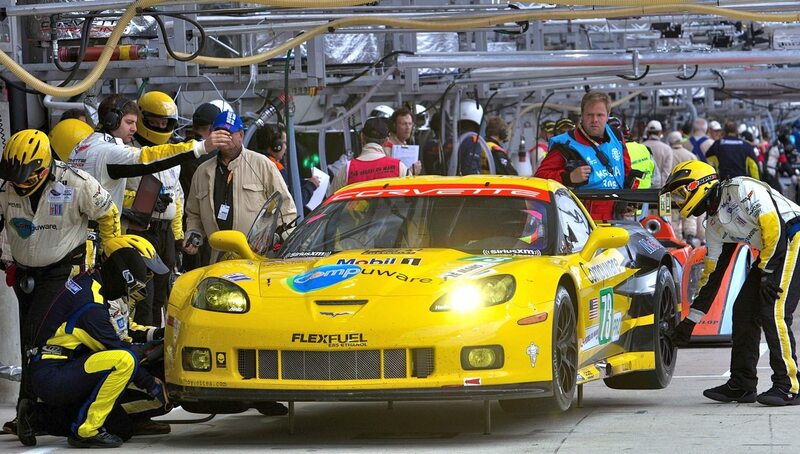 Still, until such time as General Motor chooses to reveal the rest of their trade secrets, the Corvette community as a whole will continue to speculate about future models and variants of their beloved sports car.